Presently managed by brothers, Jon and Con Lioulios, Quality Lines is in a position to deliver the highest standard of Produce to all of its customers. We are actively involved in every phase of the business, including; planting, harvesting, packing, sales and marketing. Wholly based in South Australia, we run all aspects of our business 24kms north of the city of Adelaide. This provides an ideal climate and pollution free environment for farming produce of the highest quality. This coupled with our strong Australia wide supplier base ensures a year round supply is available to all our customers. As a member of the 'South Australian Chamber of Fruit & Vegetable Industry Association', and having attained the certification of 'H.A.C.C.P'. and the 'Woolworths Vendor Quality Management Standard' (WVQMS), Quality Lines has evolved into a well respected business with a long standing reputation for a commitment to supplying quality produce, and providing outstanding customer service. 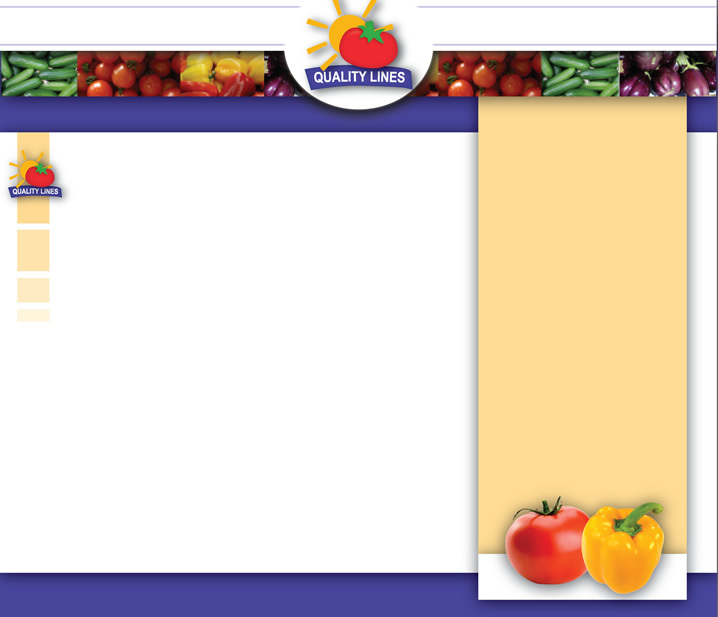 Quality Lines is a family owned business that was established in 1960 by Peter & Niki Lioulios. For over 40 years, the Lioulios family have been actively involved in the Fruit and Vegetable industry. Since 1960 the business has grown to include all aspects of the industry. Currently supplying high volumes of produce Australia wide, including major supermarkets and green grocers. Quality Lines continues to take pride in generations of knowledge and dedication to the industry.